If you look at a detailed wine map of Burgundy, you’ll notice that Chablis is way off to the northwest—about 80 miles from the tip of the Côte de Nuits at Dijon, and completely located within the Yonne department. If you keep looking, you’ll see that there is another batch of vineyards up there to the north, but this group is about 40 miles east of Chablis, and therefore a bit closer to Dijon. This is the Châtillonnais (not to be confused with the Chalonnaise, which is at the other end of Burgundy). 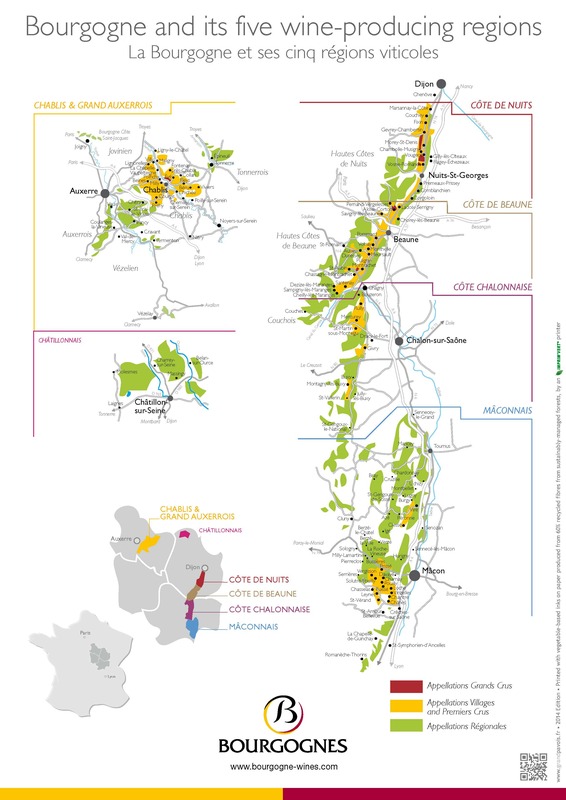 The Châtillonnais is a group of vineyards clustered around the town of Châtillon-sur-Seine, located within the Côte-d’Or department, and very close to the Aube department (and the southern boundary of the Champagne region). The Châtillonnais does not have its own AOC, but the vineyards here produce wine under the regional AOCs of Burgundy. The area is particularly well-known for its Crémant de Bourgogne AOC. There are about 250 hectares (600 acres) of vines, mostly planted on limestone soils along south/southeast facing slopes, with many facing the Seine and Ource Rivers. The area is mostly planted to Chardonnay and Pinot Noir, with a small amount of Gamay and Aligoté as well. All of these grapes might make their way into the wines of the Crémant de Bourgogne or Bourgogne AOCs. The area has a long history of wine production—at least 2,000 years. If you visit the area, you need to stop into the Museum of Pays Châtillonnais – Trésor de Vix. Here you’ll find what some people refer to as “the world’s largest tastevin,” however, take a deep breath because that description is not really giving the museum its due. What you can actually find here—of great interest to wine lovers, I would think—is an artifact from 500 BC known as the Vix Krater. 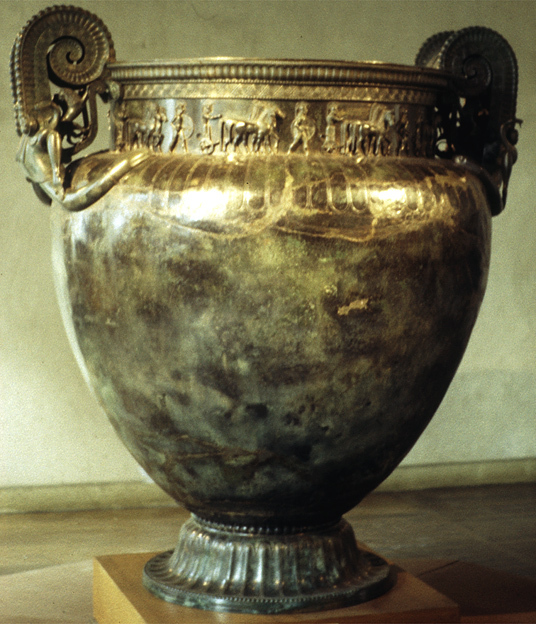 The Vix Krater, found in the town of Vix (about 6 km north of Châtillon-sur-Seine), is the largest known metal vessel from Western classical antiquity, at over 5 feet in height. It is believed that the vessel was used to mix water and wine which was then served to guests. The Vix Krater is part of the burial mound of the Lady of Vix and was found alongside a great deal of jewelry and—amazingly—a large complex of two or three buildings now referred to as “the Palace of the Lady of Vix”. The famous site was excavated beginning in 1953 by the French archaeologist René Joffroy. Upon unearthing what is most definitely one of the world’s oldest and largest wine vessels, I certainly hope the team celebrated with several glasses of wine—perhaps even some of that delicious, locally-produced Crémant de Bourgogne!